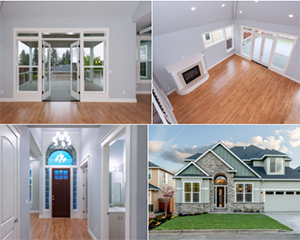 Mon - Sat: 9.00 a.m. - 6:00 p.m.
At Copper Creek Homes, Vancouver WA we are dedicated to creating a high-quality product, and an immensely positive customer experience. We combine expert craftsmanship, effective project management, and a positive experience to every job we undertake; as we are passionate about providing high-quality service at a reasonable price. 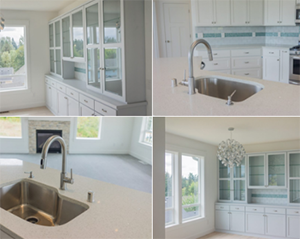 Copper Creek Custom Homes has partnered with a nationally recognized floor plan provider to give you a starting point for your custom home. Your custom home deserves the care of a specialist. "A person’s home should fit their personality. We work hard to learn our clients' personalities, lifestyles and passions in order to understand their specific needs and tastes for today and future living. 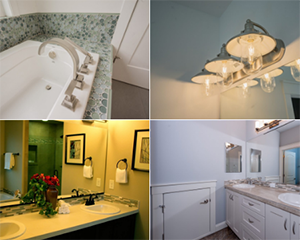 We incorporate design elements and amenities to meet those needs. We really enjoy the relationships that we build with each of our clients, and share pride with them in their beautiful new homes." Great information Michael. We greatly appreciate your attention to detail, your organizational skills and professionalism. You're doing a great job for us. We are so happy with our home by Copper Creek! It took a while but good and solidly built houses do take time. We have had so many compliments on its design and sound construction. We have moved in and there has been a few left over details but Copper Creek is still with us every step. They have been committed to seeing that we are satisfied with our new home. Thank you Copper Creek! We bought our new home from Copper Creek Homes last year and are very happy with it. The high quality of their workmanship is evident throughout the house, from the solid construction to the carefully chosen floors, counters and trims. We have not needed many repairs this year, but the few times we have, we’ve received prompt and friendly service. Jim and Mike are great to work with and build beautiful homes. We recommend them highly. I have worked with Copper Creek Homes since their inception and with the owners for much longer than that. They do an amazing job and live up to the prices that they have quoted. The quality is at a level that is aimed for by many custom home builders but only attained by very few. 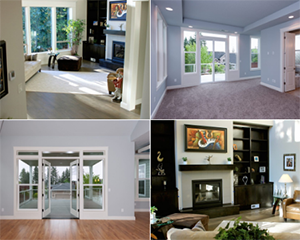 I would recommend Copper Creek Homes to anyone looking to build a high quality custom home. Working with Mike and Jim I can easily see why they are a successful building team. Both are very attentive to customers needs offering personal attention to customizing, detailing and superior craftsmanship. 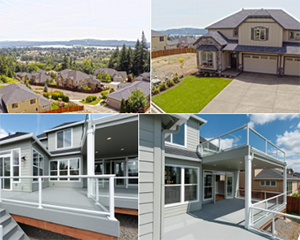 Whether you choose from one of their lots in Camas Washougal area or decide to have them build on your own lot. Overall, I've had a great experience with them. Copper Creek built our custom home at Orchard Hills and we could not be happier. Michael, Sabrina & Jim were so fantastic to work with and SO flexible! Their experience helped us with some decisions we were unsure of and they did every single thing we asked of them. The quality of workmanship is 2nd to none! Highly recommend them and would be happy to speak to anyone who has questions. We are also happy to have them show you our home so you can see the great quality of their work. Copper Creek Homes built our house on Fairway Drive in Washougal, WA. They were great and easy to work with and both my wife and I are extremely pleased with their quality and support. A particular "shout out" to Michael and Sabrina who worked tirelessly with us to give us the house of our dreams. We highly recommend them and you're welcome to contact us if you have any question. In my 15 years as a Realtor, I have never had another builder work as hard to ensure my clients were happy, well informed, and extremely involved in the entire building process. Copper Creek Homes offers not only a beautifully crafted, energy efficient home, they offer exceptional customer service and peace of mind as well! 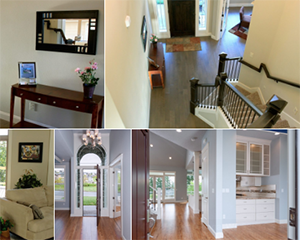 When you walk into a Copper Creek home, it feels good! Rooms and hallways seem to tie together with design, layout and color. Their willingness to listen to the home buyer comes easily and naturally. I have discussed technology options with them and they embraced the idea that the customer could and should choose from their technology options, rather than other builders who limit your choices or don't have any choices at all. They offer great value to their clients, therefore 5 stars! Michael, Sabrina Jim and all the subs were fabulous to work with. Our dream home came out far better than we ever could have anticipated! Thanks Copper Creek!! Choosing the right size custom home. Our mission is to perform for our customers at the highest level of quality construction at fair and market competitive prices. To ensure the longevity of our company through repeat and referral business achieved by customer satisfaction in all areas including timeliness, attention to detail and service-minded attitudes. To maintain the highest level of professionalism, integrity, honesty and fairness in our relationships with our suppliers, subcontractors, professional associates and of course our clients present and future. Our best advertising, will be happy customers and we will never lose sight of that. © 2017 Copper Creek Homes, Inc. All rights reserved.